Riley’s Ranch has 21 heritage chickens happily ranging about Riley’s Ranch, scratching in the dirt and fluffing up the pine straw in search of tasty bugs, sneaking around to eat up David’s new grass seed he’s sown onto the hillside below the new bonfire pit, and taking naps under the bushes beside the barn. No hormones, no antibiotics. Just healthy and happy chickens. They roost every night in our modified barn stall-coop, with 9 nesting boxes built into the outside wall of the barn where Melanie gathers eggs every afternoon. Each box has room for 2 hens to share each nesting box, but they prefer to go in one at a time. Usually the ones who are waiting queue up on the roosting bar inside the coop, on a wooden bar that runs the length of the coop right in front of the boxes and they wait patiently for their turn. Such polite ladies! When one hen is finished laying her egg, she hops out of her box, and a hen who has waited patiently 20 or 30 minutes will hop right in and get comfortable. Each nesting box is lined with a soft clean layer of pine shavings, sometimes with a few sprigs of rosemary and lavender Melanie mixes in from her herb garden. 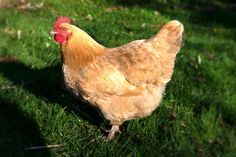 Buff Orpington: Orpingtons are big, friendly dual-purpose birds originally developed in the UK, and for many small farms Orpingtons are the only way to go! They’re friendly and cold-hardy due to their fluffy plumage. The Buff Orpington is the most popular and all varieties, especially the black and blue, are rare. The Rhode Island Red is an American breed of domestic chicken. It was developed in the late nineteenth century by cross breeding birds of Oriental origin such as the Malay with brown Leghorn birds from Italy. It was formerly a dual-purpose breed, raised both for meat and for eggs. 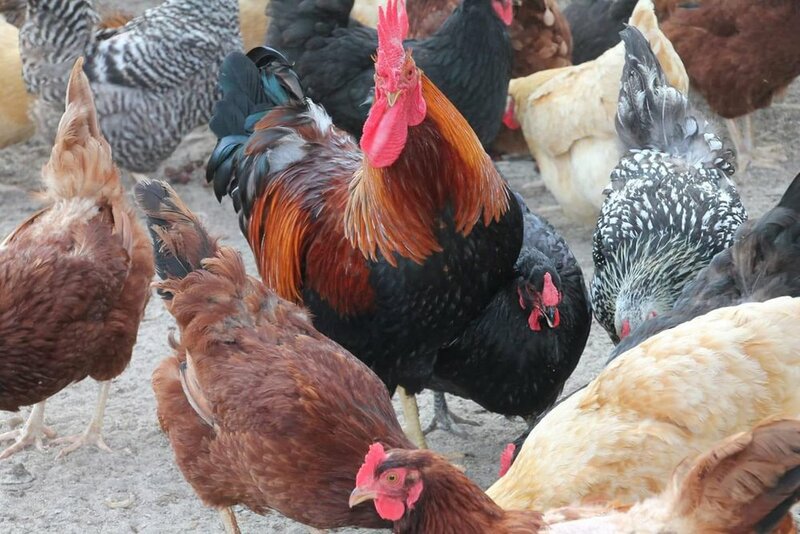 Modern strains have been bred for their egg-laying abilities. The traditional non-industrial strains of the Rhode Island Red are listed as “watch” on the ALBC. Welsummers: A Dutch breed that originated from Holland in the early twentieth century. They are a very sociable, easily handled, and are beautiful for the barnyard. They tend to become very tame. They are a very calm, talkative bird. They lay a beautiful terra cotta brown egg. This breed is not mentioned by the ALBC, because it is still considered new to the US. Black Australorp: Black Australorps were developed from the Orpington breed in Australia. These chickens are very hardy, especially in the cold, and are quite friendly and docile. Because of their kind personality, Australorps are an excellent breed choice for children who want to raise chickens. Buckeye: The ALBC lists this breed as threatened.